Siam Discovery is the birthplace of new ideas. And true to its name, it is also the place of discoveries. 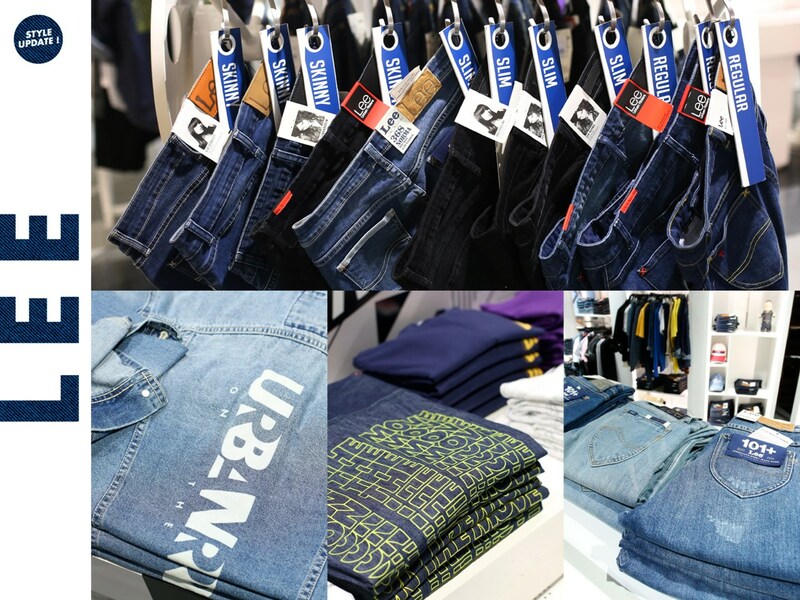 Here, you will discover an abundance of denim brands and products. This also includes the pioneering denim brands Levi’s and Lee. This brand originates from Italy back in 1978. 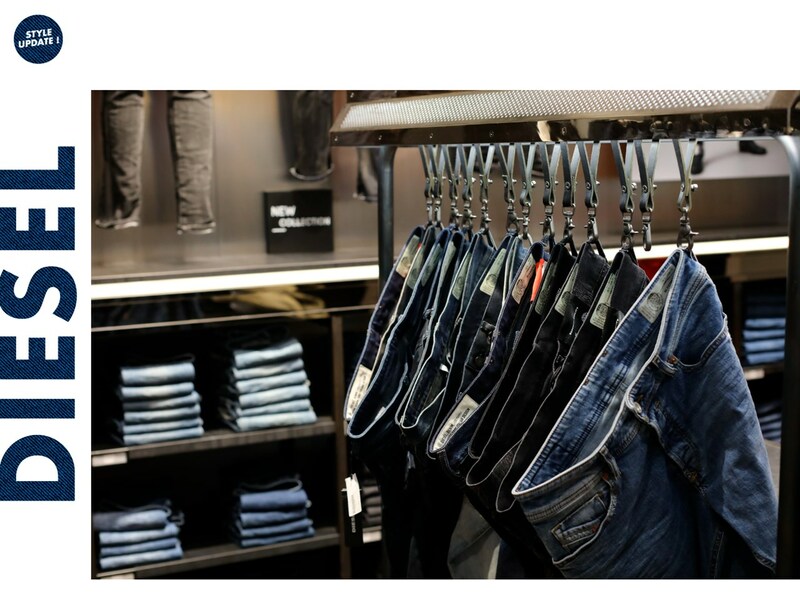 Perhaps one of the most prominent features of Diesel jeans is the fact that they emphasize on washed denim over raw denim. If you’ve closely observed their jeans or other denim products, they are more focused on a used look. But don’t let that worn, used appearance fool you; Diesel’s jeans are of a considerably premium grade. 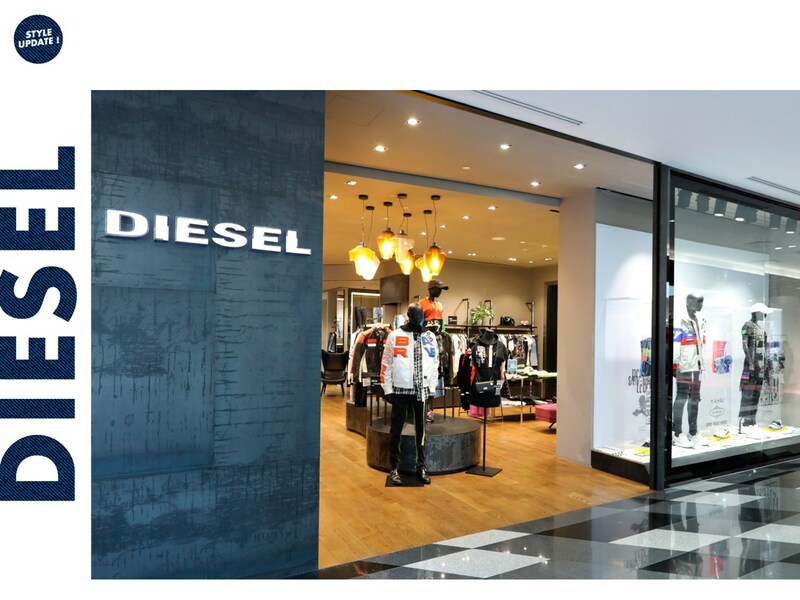 In fact, the Diesel brand has its own line of higher-end, premium products titled “Diesel Black and Gold”. We start off with this somewhat street-inspired pair of jeans. Why do we say street? Take a look at them and tell us they look brand new and fresh out of the box. As you can see, these pair of jeans look like they’ve been worn and washed multiple times before they started wearing out and getting wrinkled up. Then someone decided to add some tape on the sides to prevent them from falling apart completely. But then again, Diesel has always been renowned for their used-look jeans. These would go well with a long-sleeved top. Another pair of jeans rocking the used, washed denim look. These jeans exude a more punk-inspired feel, owing to the rips and tears that line the legs. As we all know, during the 70’s and 80’s, punk rock artists heavily favored ripped jeans. Diesel has actually named these pair of jeans the “Sweatpants”. Perhaps this is due to the lace that goes around the waist, which is used for fastening. 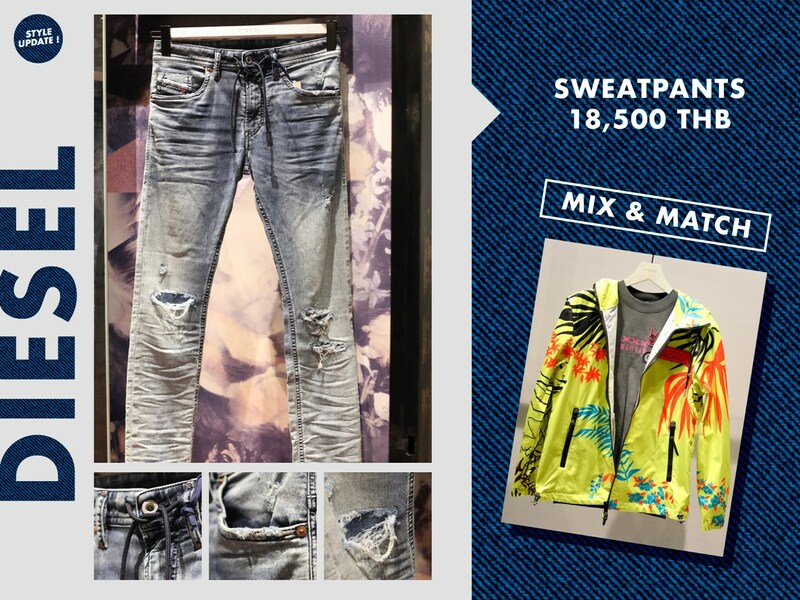 The Sweatpants go particularly well with a t-shirt and a summer-design jacket. 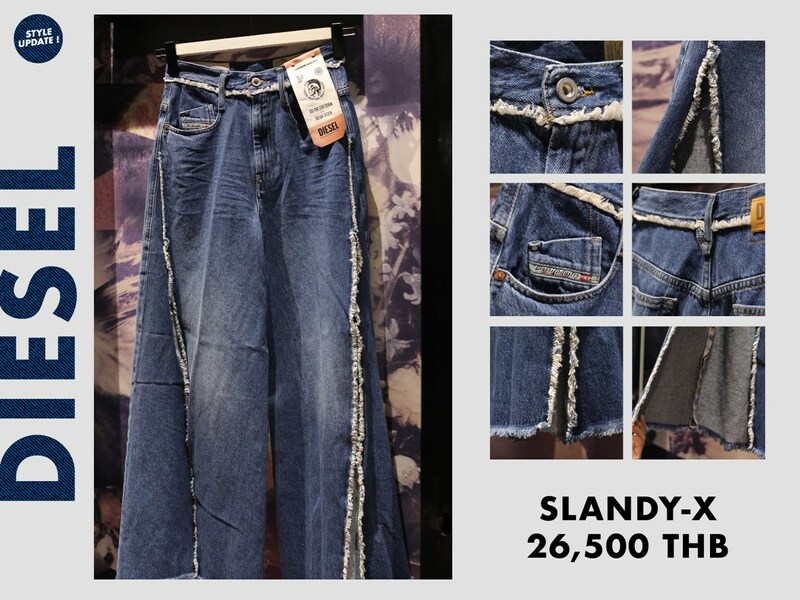 These pair of women’s jeans, the “Slandy-X”, seem particularly influenced by the punk and goth movements. Why? Take a look at its color: black. Not to mention the chain-like decoration adorning the right pocket. Now that’s an old-school goth look right there. Hold on there, before you quickly assume that these are a pair of skirts, don’t let your eyes fool you. These are, in fact, another pair of jeans. But they are a pair of jeans with tears designed to make them look like a skirt. 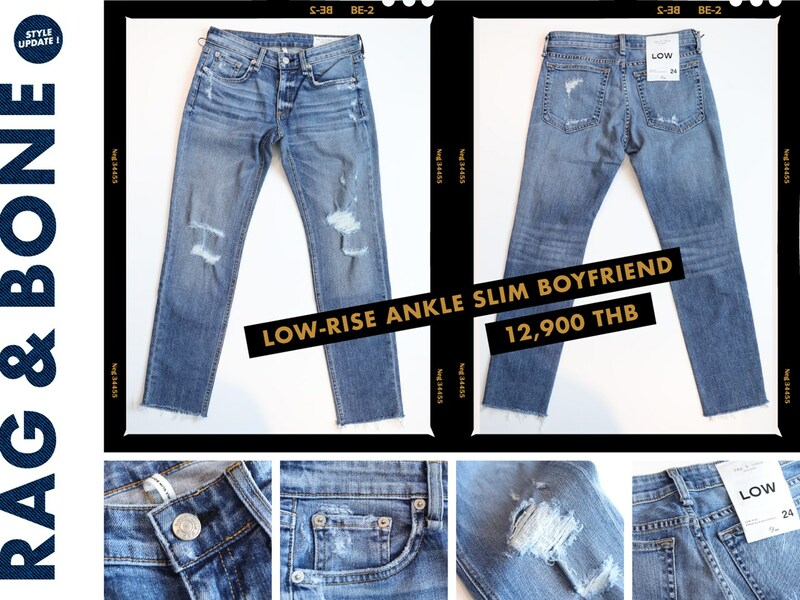 Here, Diesel gets creative with the ‘ripped jeans’ concept and decides to use it to completely transform what would’ve been an ordinary pair of jeans into a pair of hollow-legged jeans that, from a distance, looks like a torn-up denim skirt. Now we venture into Diesel’s more upscale collection, “Diesel Black Gold”. Luxury as the “Diesel Black Gold” may be, its denim products are actually not that much different from Diesel’s regular brand, as witnessed here by these street-style jeans. Still, the street/rock-influenced appearance of these jeans would be made even better if they were matched together with a sleeveless hooded sweater, preferably one that was black in color. 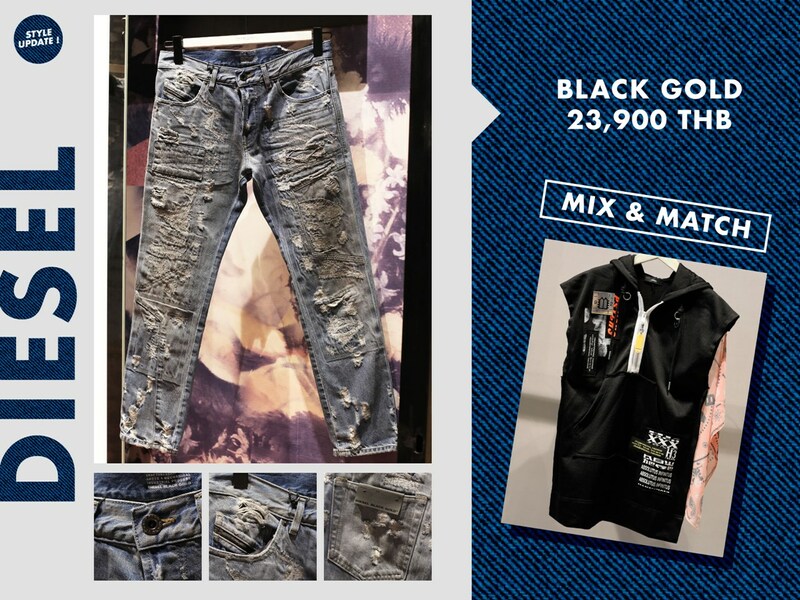 Here we come with another street/rock-influenced look with these white ripped jeans from the Diesel Black Gold collection. 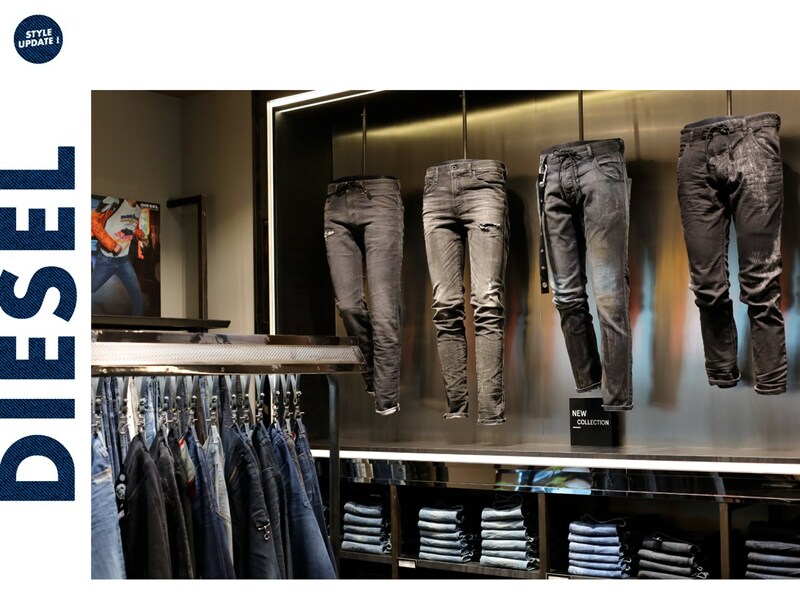 Perhaps Black Gold focuses so much on ripped denim jeans so due to the fact that Diesel has said itself that the Black Gold’s goal is “providing edgy rock chic fashion to a sophisticated international clientele”. It all seems to make sense now. After all, when you come to think about it, this is indeed something you would see rockstars wearing onstage during concerts. 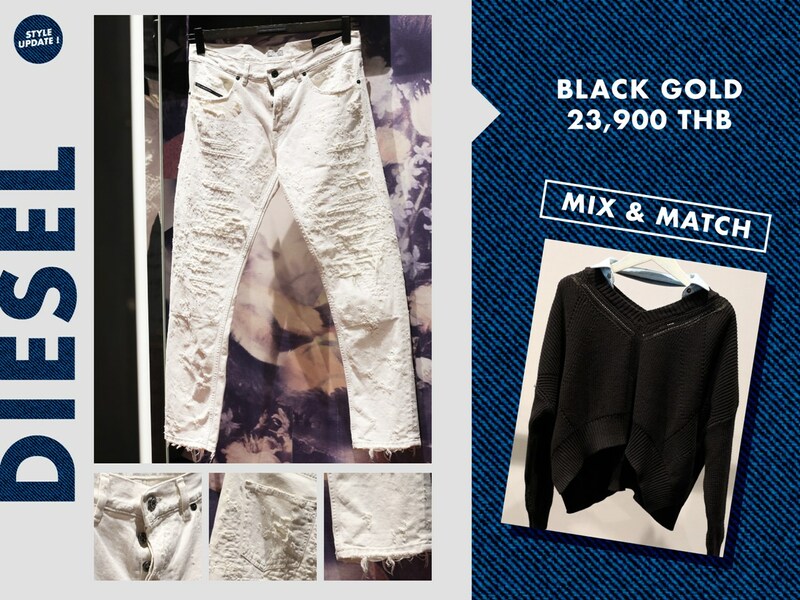 These white denim jeans pair well with something of a contrasting color, like a black jumper. The history of Rag & Bone can be traced back to New York in 2002. Like Levi’s and Lee, Rag & Bone is an American brand. The difference, however, is that it is part of a newer generation of denim brands due to its late year of founding in 2002. 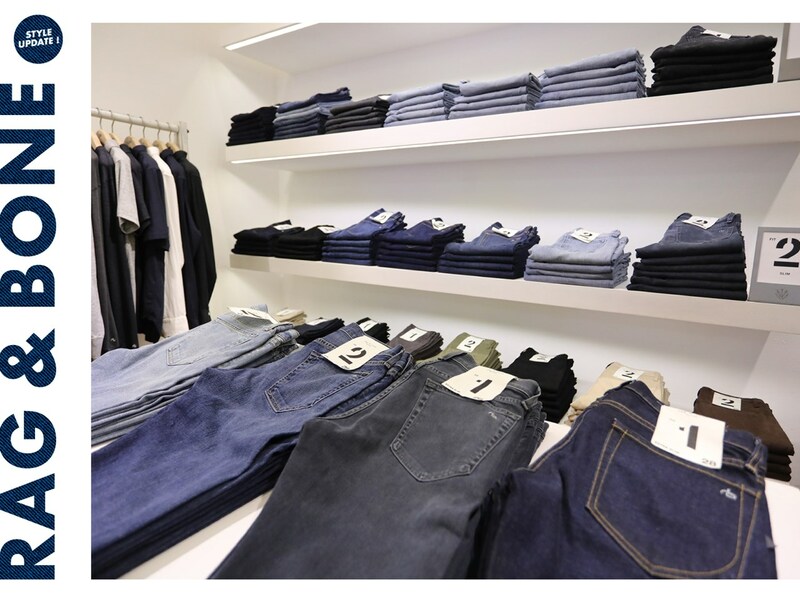 Also unlike Levi’s and Lee, Rag & Bone is considered to offer a more premium grade of both clothing and denim jeans. This brand provides clothing for both men and women, its clothes presenting a modern style while exuding a hint of metropolitan New York. 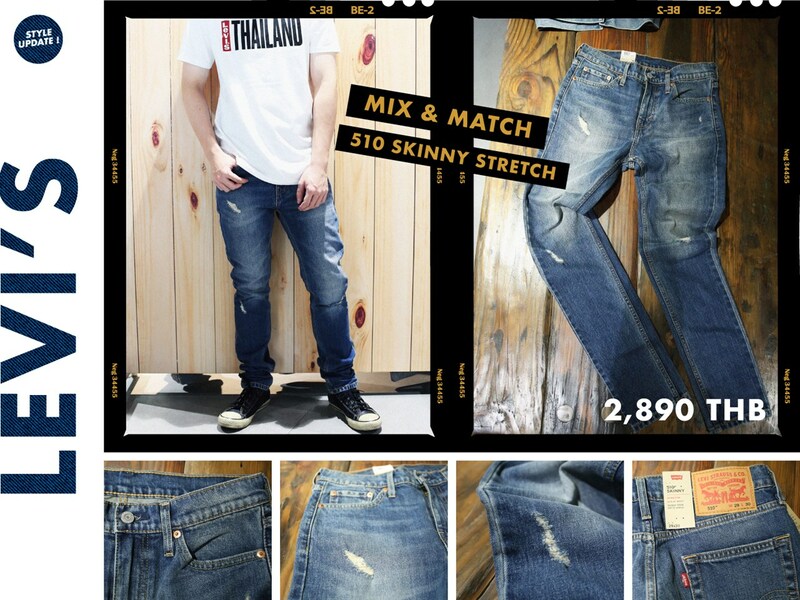 Some of the jeans provided by this brand also represent a collaboration between two nations as several of them are produced using premium Japanese denim. That’s right, this is an American jeans brand that occasionally makes use of Japanese denim. High-rise jeans became particularly popular during the 1970’s. But after fading away into obscurity for some time, they began to make a comeback and were once again made popular during the mid to late-2010’s, being worn by celebrities like Lady Gaga, Rihanna, Kim Kardashian and Selena Gomez. As you can see from Rag & Bone’s “High-Rise Ankle Skinny” jeans, the ankles feature a unique style of cut that you won’t find in any other denim store. From high-rise jeans, we move on to mid-rise jeans. These look like the most basic pair of denim jeans that Rag & Bone has to offer, with the typical five-pocket look, the zipper fly, and the blue color. 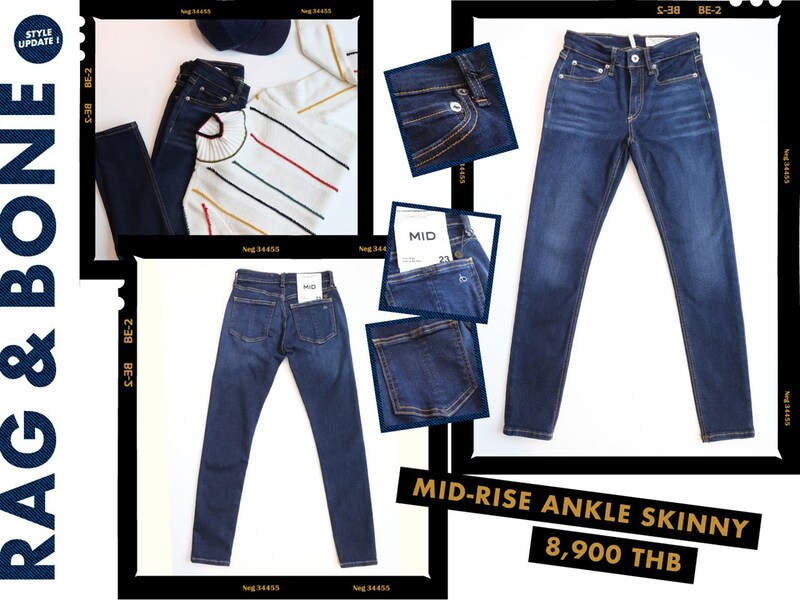 What makes the “Mid-Rise Ankle Skinny” jeans stand out as part of Rag & Bone’s product line is the fact that its ankles feature a slim leg cut. In addition, the “Mid-Rise Ankle Skinny” would be best suited with a turtleneck sweater. If you like a true vintage look, then you’ve got to have wide-leg jeans. The combination of high waist and wide legs have been a staple in fashion from the 1920’s to the 1950’s. 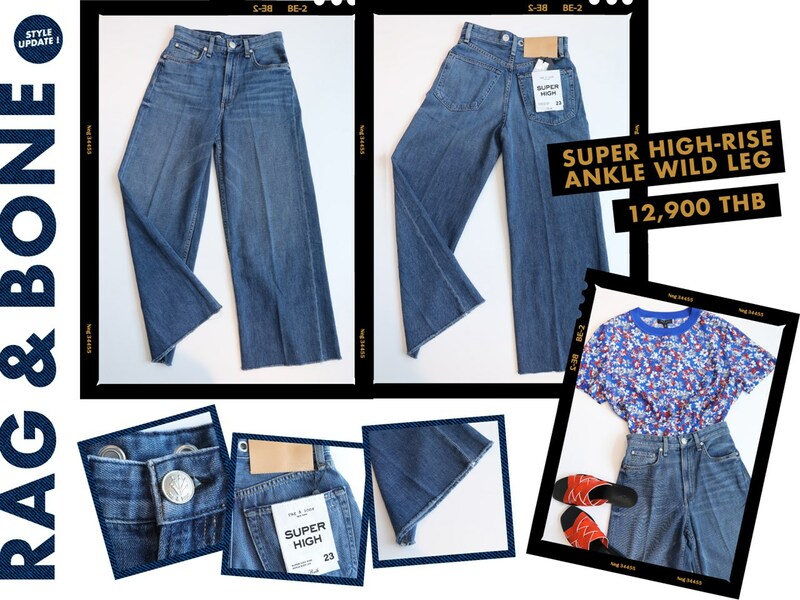 However, this particular pair of jeans, the “Super High-Rise Ankle Wild Leg”, seems to be more strongly influenced by the look of the 1970’s. 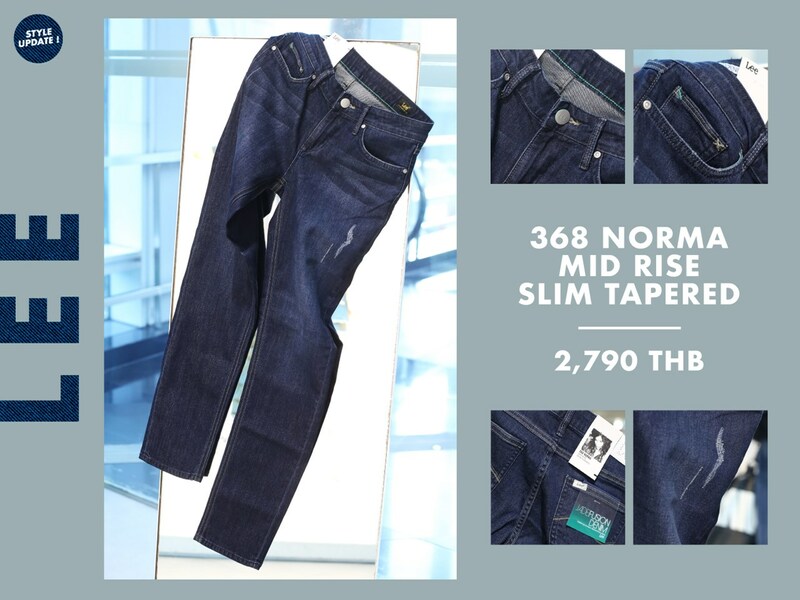 It deviates away from the current popular trend of skinny and slim-fit jeans with its loose fit. Furthermore, pair these with a floral-patterned blouse and a pair of sandals to get your ideal summer look. With high-rise and mid-rise, there must also be low-rise jeans. Low-rise jeans, otherwise known as hip-huggers, first became popular during the mid-1960’s and grew in popularity during the late 1960’s due to the hippie movement. Rag & Bone’s “Low-Rise Ankle Slim Boyfriend” is somewhat a replica of what was worn by the ladies who were part of the hippie movement, evidenced by its slight tear designs. Let’s get back to basics, shall we? Today’s fashion trends mostly revolve around slim-fit or skinny jeans. Rag & Bone’s “Fit 2 Slim” jeans are a prime example of most people’s preferences when it comes to denim jeans. Basic as they may look, there’s no denying that they’re pretty cool, is especially if matched with a checkered shirt. This one here is also another example of basic. It is somewhat also similar to the aforementioned “Fit 2 Slim”. However, the difference perhaps lies in the material used to produce this pair of jeans. 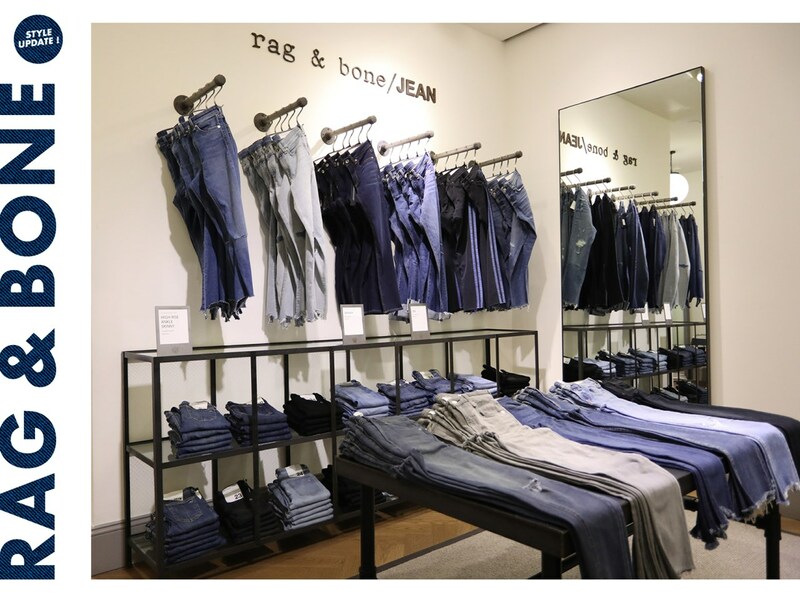 In comparison to the “Fit 2 Slim”, Rag & Bone’s “Standard Issue Fit 2 Slim” jeans are relatively more comfortable to wear. Paired together with a V-neck sweater, regardless of what age you are, you’ll be looking youthful in no time. Once again, we take a stroll back to slim jeans with Rag & Bone’s “Fit 1 Extra Slim” jeans. Yes, as they couldn’t get any slimmer, you’ve got extra slim jeans. These are the kind of jeans that basically wrap around your legs to the point that your legs are well-defined and people can see the very shape of your legs. 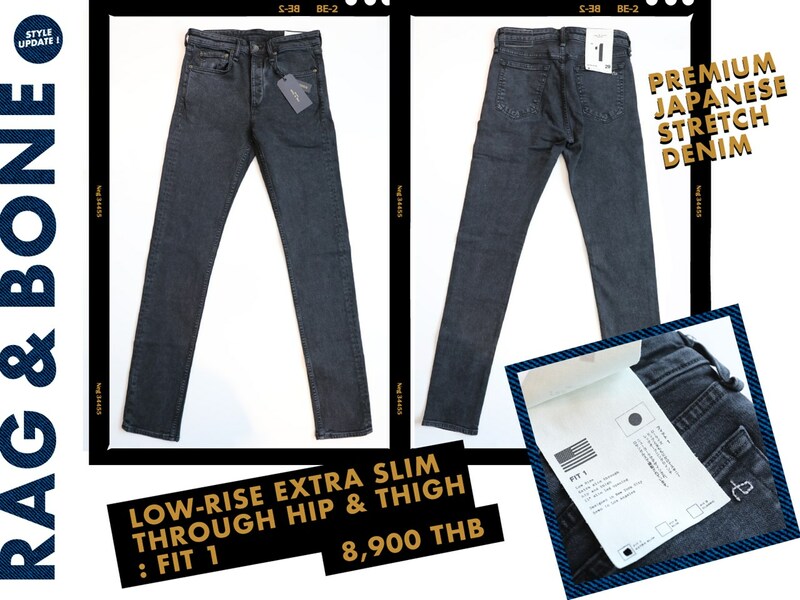 These pair “Fit 1 Extra Slim” jeans are also lighter in color in comparison to both the “Fit 2 Slim” and “Standard Issue Fit 2 Slim”. And now we present to you perhaps Rag & Bone’s finest piece of work yet. Remember when we mentioned the collaboration between two nations? Well, this is it right here. This is the ultimate masterpiece: the result of collaboration between the United States and Japan. The “Fit 1 Low-Rise Extra Slim” jeans sees the American Rag & Bone make use of premium Japanese stretch denim to craft a pair of masterpiece jeans for the ages. These jeans are definitely at a whole other level. Where there be denim jeans, there will also be denim jackets. To the left, we got your women’s combination which, if closely inspected, would make a good fit for winter or shooting a hip hop video, whichever one works best. To the right, we have your men’s combo. This one exudes a classic vintage look, one similar to that of old-time celebrities like James Dean. A bad-boy look, essentially. Perhaps best described as the grandfather of all jeans, with its founding in 1853 and the manufacturing of what would later be known as the “Levi 501” pants in 1873, the American brand Levi’s is undisputedly the most popular and best-selling denim brand on a global level. Since then, they’ve spawned jeans models like the “510”, “519” and “720”. Furthermore, this brand also offers jeans of varying models including: straight cut, slim fit, relaxed, tapered, boot cut, and skinny. If you talk about jeans, the first brand that comes to mind is Levi’s. Without this brand, jeans would probably have never gained the massive amount of popularity that they do now. 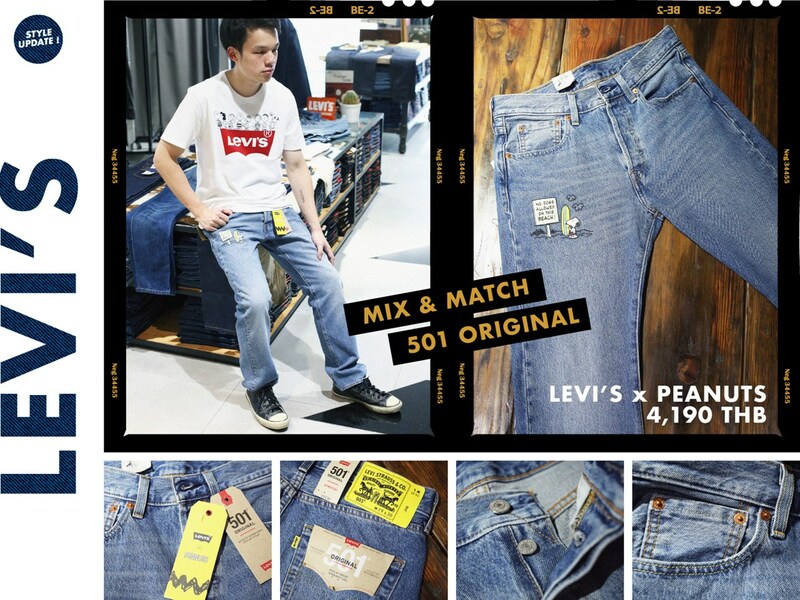 More recently, Levi’s has actually done a collaboration with “Peanuts”, the comic strip responsible for bringing to you Snoopy the dog and Charlie Brown. 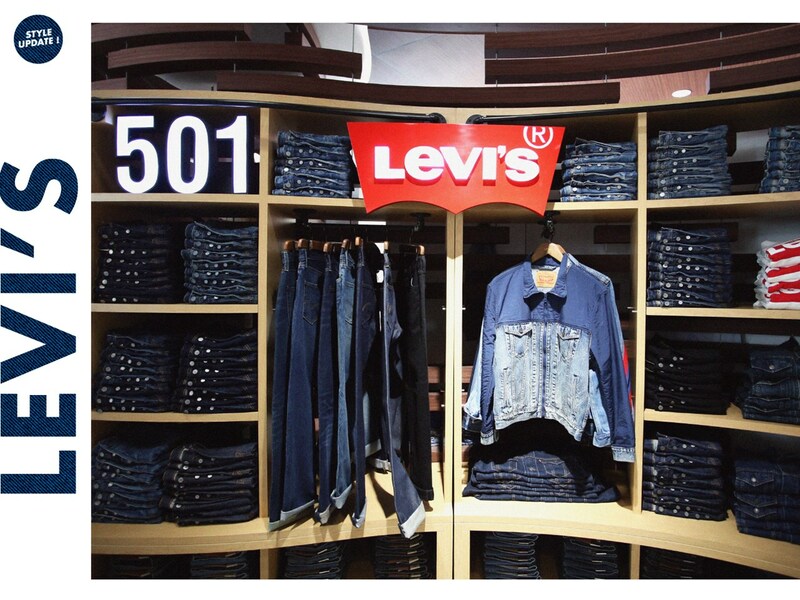 The denim jeans are modeled after Levi’s iconic “501” jeans. This “Levi’s x Peanuts” collection doesn’t include only denim jeans but also comes with a matching t-shirt as well, essentially completing the whole set! Onwards we go. And now we present to you the “Levi’s 519 Extreme Skinny” jeans. These ones come in a darker shade of denim and, as the name suggests, are tighter fit around the legs. What does that mean? 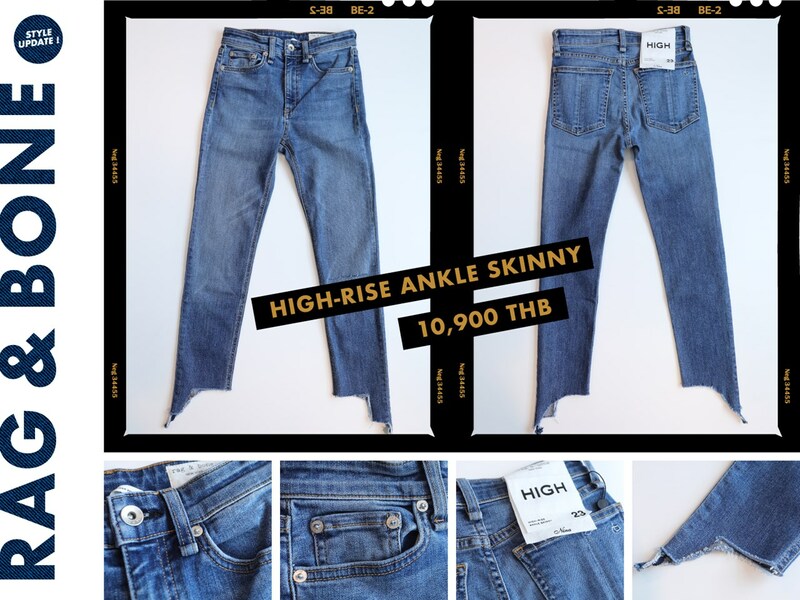 Well, if you want to be convinced into purchasing the 519 Extreme Skinny jeans, let’s just say these are the jeans that will make your legs look slim and slender. Not to mention that these jeans also go well in a double-denim look, being best paired with a denim jacket. 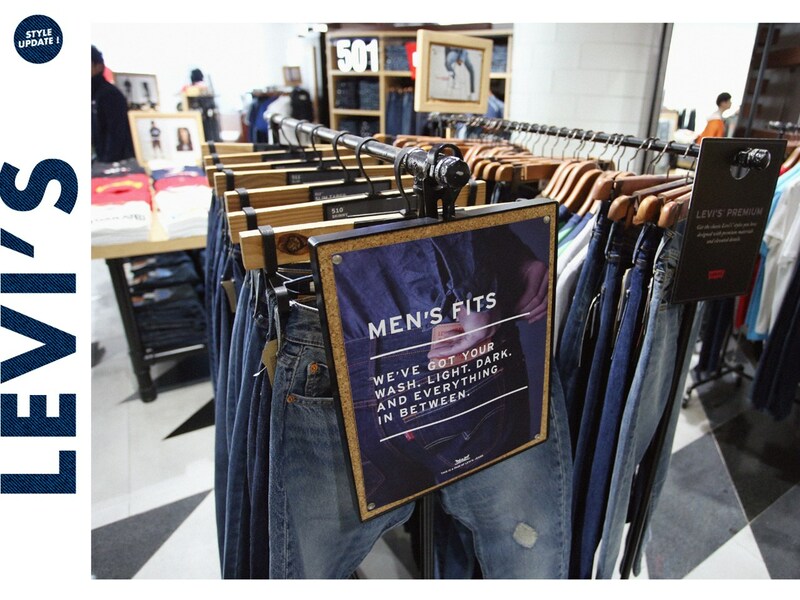 Despite being the pioneer of jeans, Levi’s also knows how to venture and experiment with denim in other ways. Yes, they also have ripped jeans. Although, these pair of jeans are adorned more with slight tear designs rather than actual rips. Nevertheless, we understand what Levi’s is trying to do here. Bottom line: they make jeans of all kinds, as you will see later on. Jeans for women first rose to prominence during the early 1930’s. Guess who was responsible for creating them? Levi’s. They changed women’s fashion forever with the introduction of “Lady Levi’s” jeans. Needless to say, that was perhaps one of the biggest innovations in fashion. 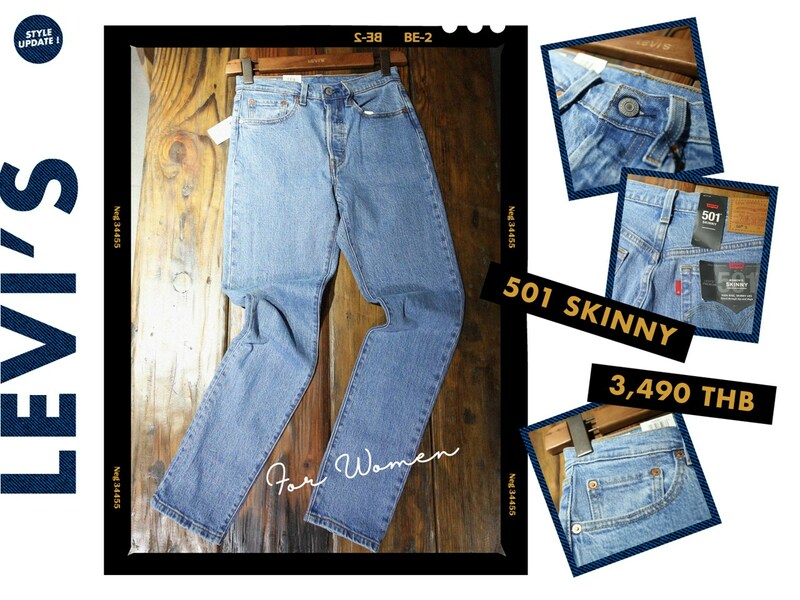 The “Levi’s 501 Skinny” jeans that you see here are perhaps a replica of a piece of that fashion history. In other words, this was probably what the Lady Levi’s looked like when they were first created in the 1930’s. Basic but highly innovative. Here we have another item from the “Levi’s x Peanuts” collection. This time, it’s a lady’s item; one that you see so often every day now. Denim shorts, a common fixture in many women’s wardrobes. 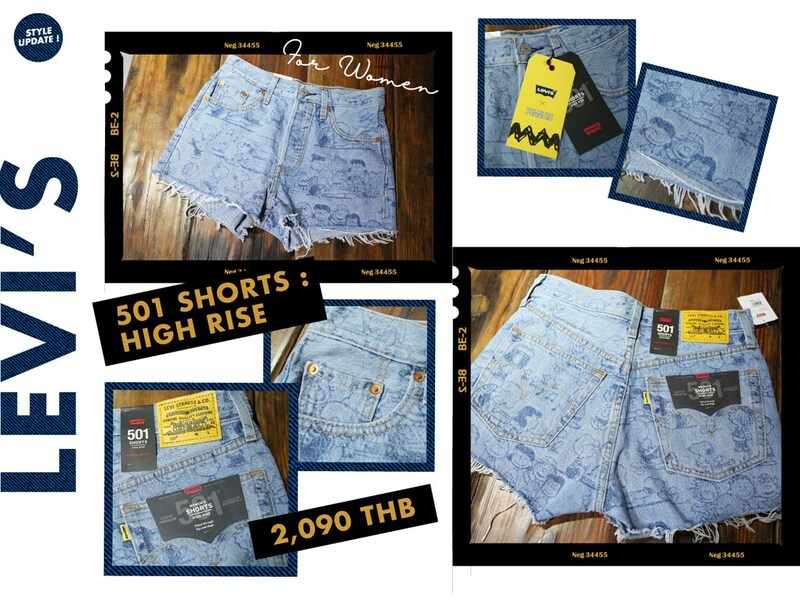 These denim shorts are modeled after the iconic “501” series. A prime example of modern women’s denimwear. 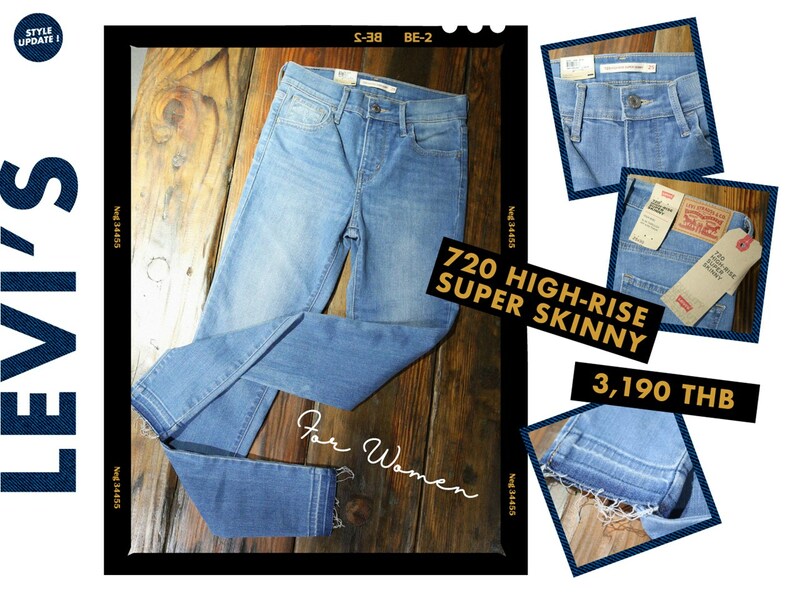 The “Levi’s 720 High-Rise Super Skinny” jeans ultimately represent the type of jeans that women prefer in this 21st century that we live in. It’s clear that the women of today often prefer jeans that are both of the high-rise and skinny fit. These are the pair of jeans for them. 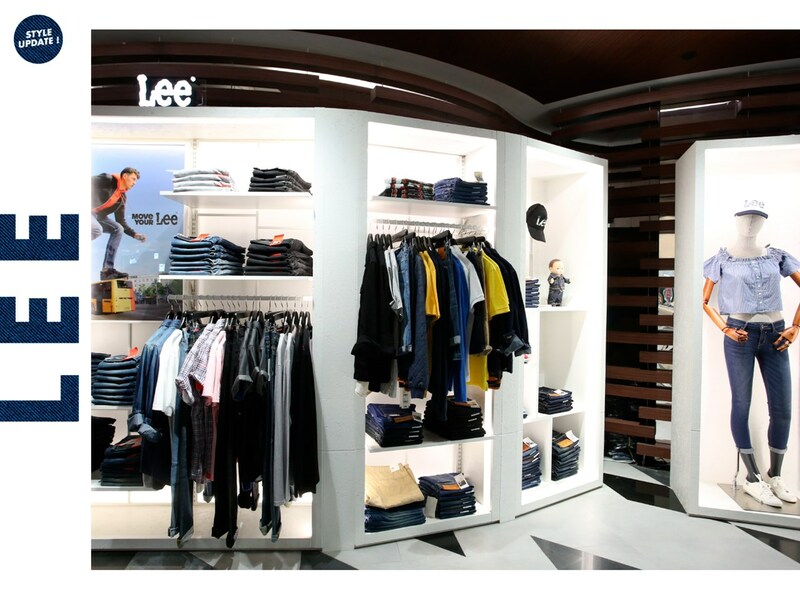 Lee is one of older and earlier jeans brands alongside Levi’s, with the former being founded in 1889. 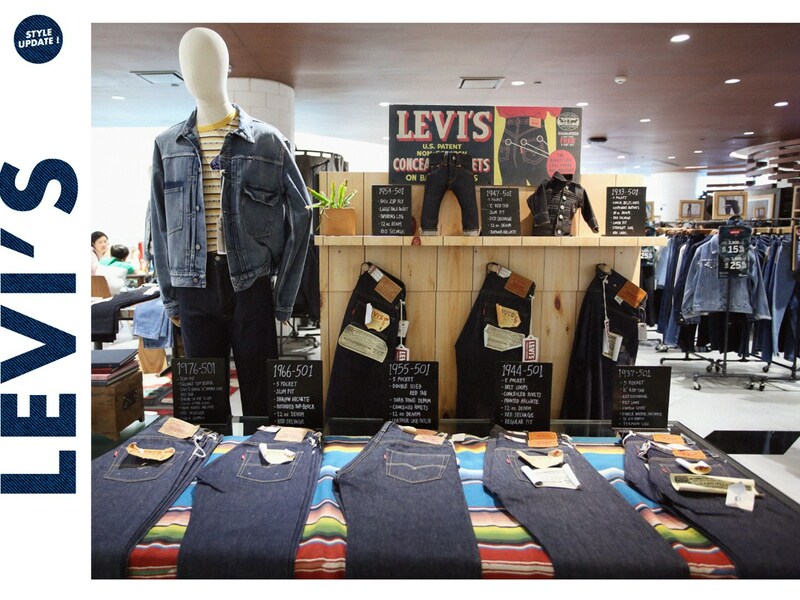 Like Levi’s, Lee is also a brand with American origins. One could even say that Levi’s and Lee are the founding fathers of modern American denim, owing to their 19th-century roots. To the naked eye and from a distance, it is easy to mistake a pair of Lee jeans for a pair of Levi’s jeans, especially with the rear leather patches. So let’s begin with a more basic look from Lee. You want basic? 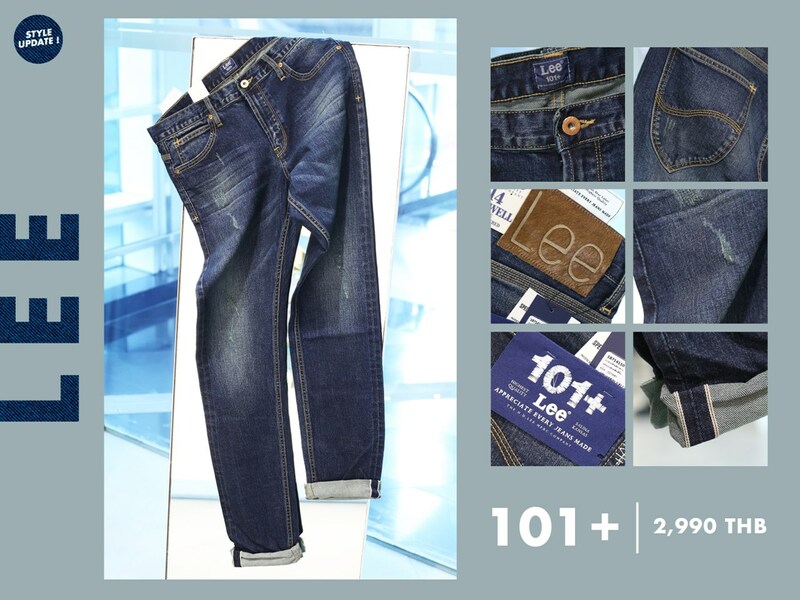 Then we present to you the “Lee 101+” jeans. These jeans aren’t too skinny and aren’t too loose. They will fit you just perfectly. Everything about it is basic and complete from the zipper fly, to the five pockets and the rear leather patch. 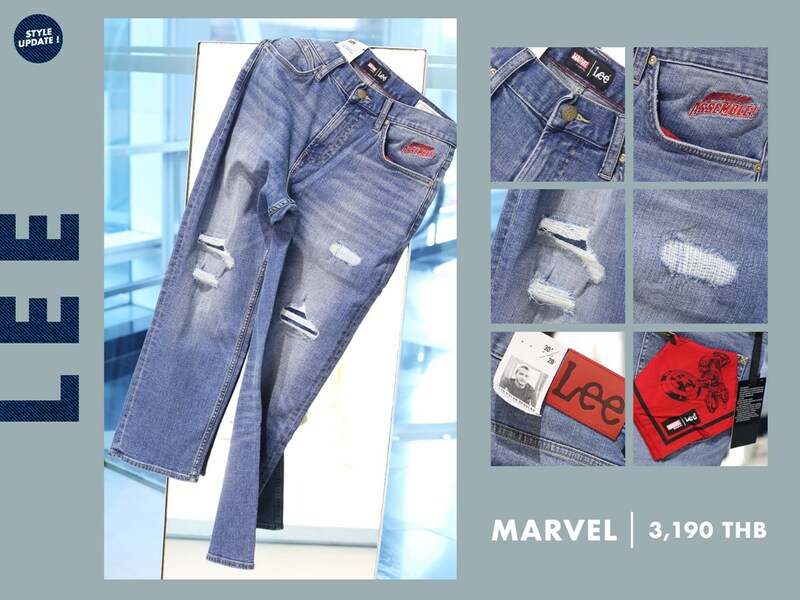 Next, we have up to four Lee jeans that are a part of the collection “Lee x Marvel”. 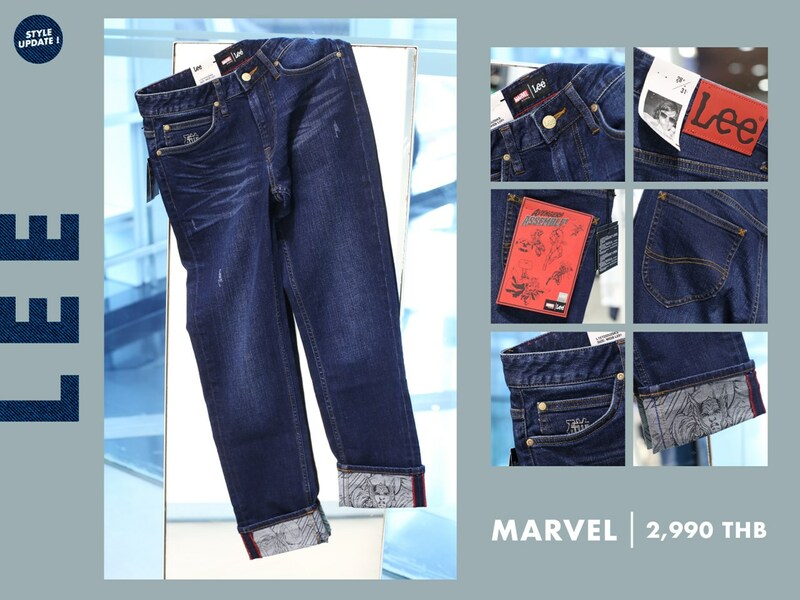 More specifically, these series of jeans feature designs inspired by the Marvel comics characters “The Avengers”, which have since become popular through their series of films. 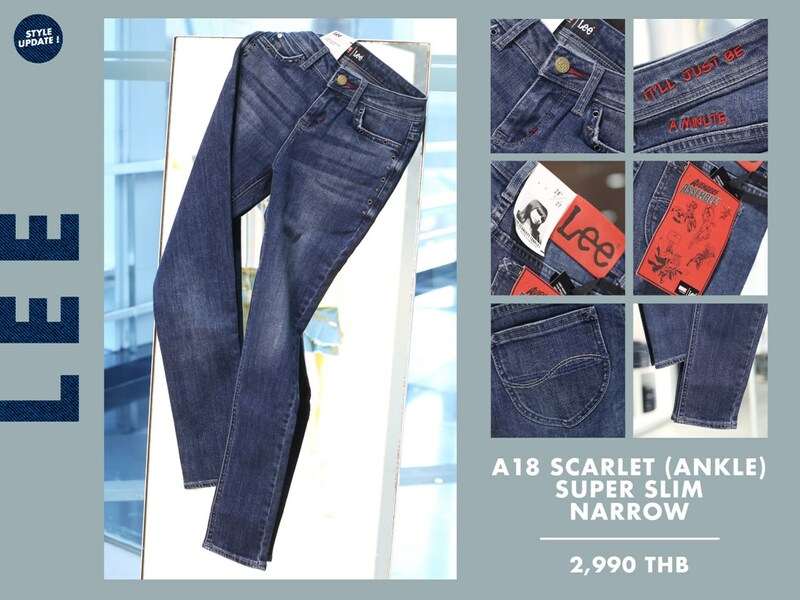 One highly prominent feature of these jeans are their red-colored rear leather patches. These “Lee x Marvel” jeans are available for both men and women. Available colors for these jeans include dark blue, light blue and black. Of course, women are allowed to go basic too. And they can do so with these pair of jeans. Introducing the “Lee 368 Norma Mid Rise Slim Tapered” jeans. Unlike most Lee jeans, the button on the fly is silver in color. These jeans are actually made from ‘Jade Fusion Denim’, which is basically denim that has been mixed together with jade dust. Its tagline is “Inspired by humans, derived from nature”. That’s pretty cool, right? 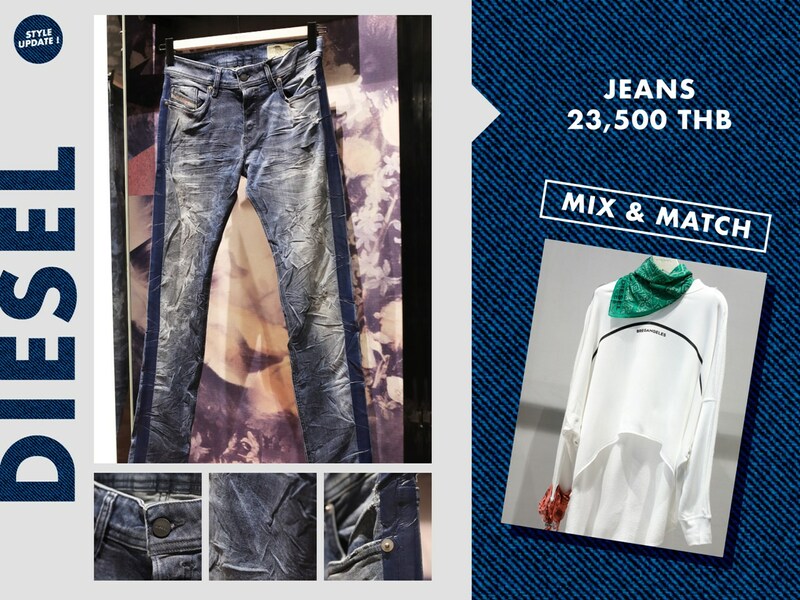 So as you can see, Siam Discovery is a hub and haven for all things denim. If that’s not enough for you, it is home to the founding fathers of denim jeans: Levi’s and Lee. 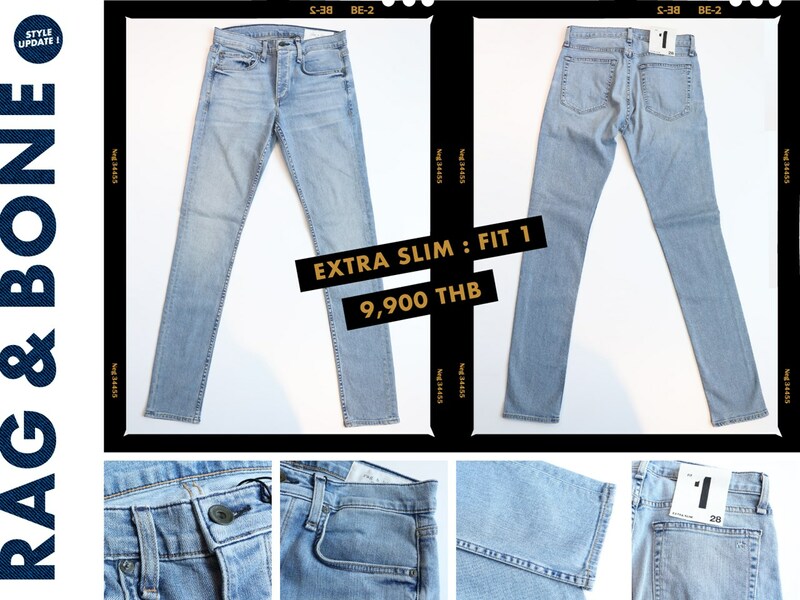 If you ever want to pick out some jeans or any other type of denimwear, don’t hesitate to drop by at Siam Discovery, your ultimate destination for denim. 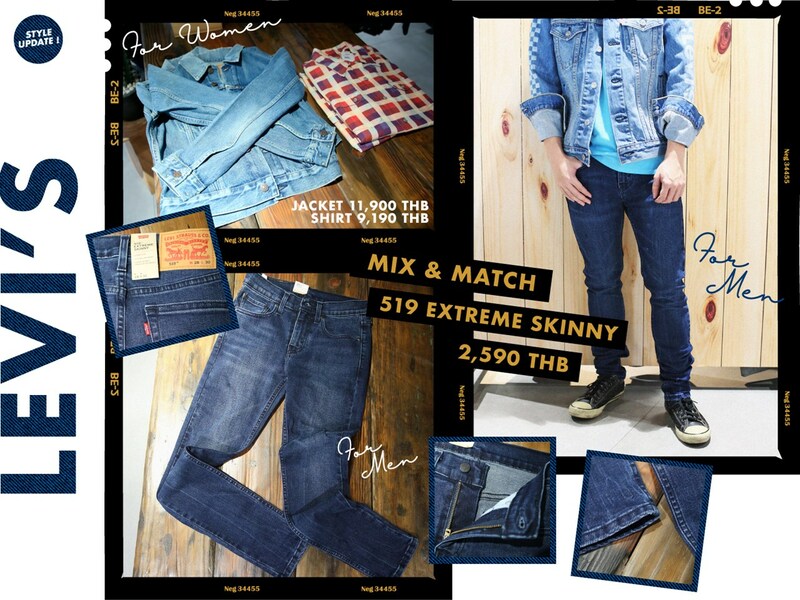 You can find more denim stores at both Siam Paragon and Siam Center. 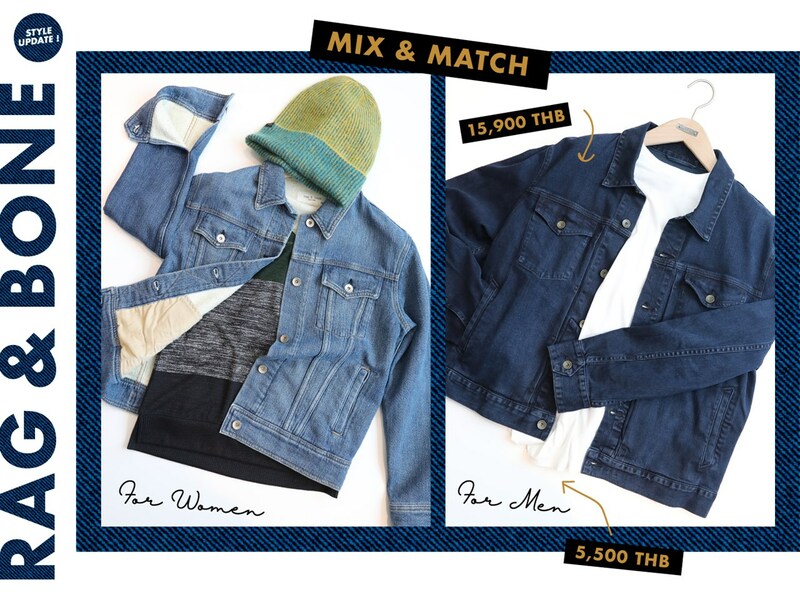 18 ไอเท็มขายดีสุดๆ จากญี่ปุ่นที่ Loft จัดมาให้เดินช้อปรัวๆ!